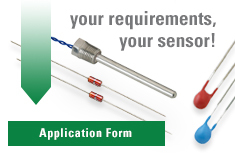 Littelfuse offers Polyimide probes suitable for a wide range of temperature sensing applications. If the dimensions on this product won't work for your requirements, please contact us for further assistance. Important Note: The product shown is a probe style only. 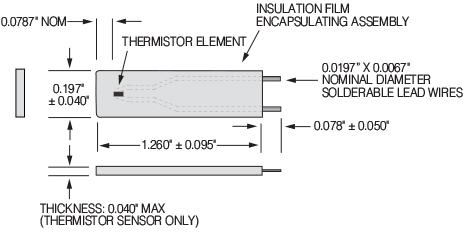 The temperature sensing element needs to be selected along with other physical properties (lead wire type, termination, etc. ).